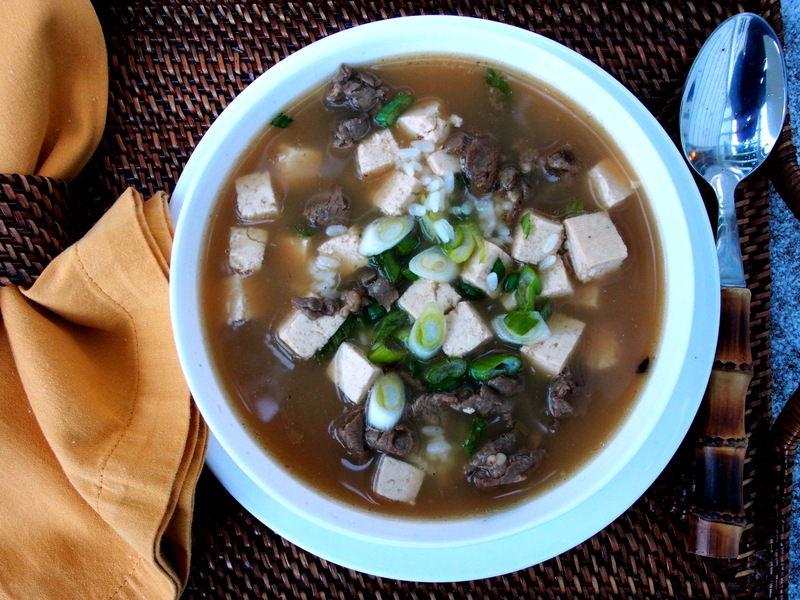 Mix together the soy sauce, sesame oil, scallions, garlic, ginger and sesame seeds in a large bowl. Add the meat, toss well to coat, cover, refrigerate and marinate for about 1 hour — longer if time allows, shorter if you’re in a hurry. Heat the oil in a heavy saucepan over medium-high heat. Drain the meat, reserving the marinade, and brown it, turning once or twice. Add 6 cups water and bring to a boil; lower the heat and simmer for 20 minutes. Add the tofu and reserved marinade and heat through, about 5 minutes. Season with salt and pepper. Spoon some sticky rice, if you are using it, directly into each soup bowl and serve hot. NOTE: For a heartier, and more time-consuming, soup, substitute 1-½ pounds beef short ribs, cut into 2 inch pieces, for the steak. Proceed as in step 2, adding time to brown the bigger pieces and at least an hour more of simmering to tenderize them. 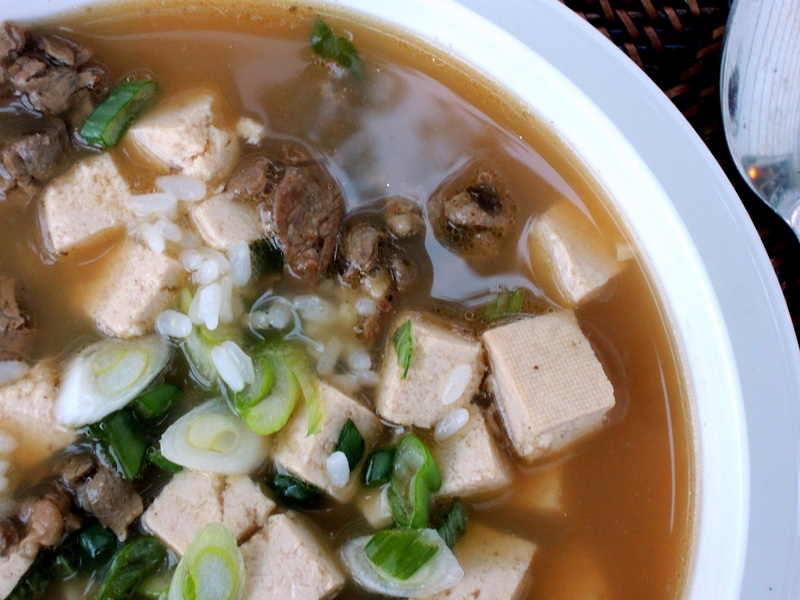 Remove the ribs and strip the meat from the bones; cut into bite-sized pieces, return to the broth, and proceed with step 3.